Which Shared Web Hosting Service Should I Use? If you want to put your site on the Internet, you’ll have to choose a hosting provider. This is the company that will store your website on a computer which is connected to the Internet and can serve it up to visitors. If research hosting companies on the Internet, you’ll find so many conflicting opinions about hosting companies it will make your head spin. I’ve used all of the large hosting companies on dozens and dozens of websites. Here are the companies that have the reliability, speed, and cost in my experience. For low-cost shared hosting suitable for most small business and small nonprofits, I recommend SiteGround. When I migrated all of my personal WordPress blogs from a big-name competitor to SiteGround (I used the “GoGeek” shared hosting plan), I noted the load times before and after. On average, the load time was cut in half from around 5 seconds to a little over 2 seconds with SiteGround! After that, my sites were a joy to use and maintain. They also offer some perks like powerful caching (which makes your site even faster), and free Let’s Encrypt SSL certificates, which provides additional security for your site, and is indicated by a green lock in the browser bar. They also offer easy staging site generation and backups. Another important factor is customer service. Last time I had to talk to them, I was able to get a real person on chat in about a minute. She was able to solve one of my problems right away. She created a ticket for my other one, which was solved in about ten minutes. This is insanely good service! These are the reasons why I’m a huge fan of SiteGround! They are perfect for small to medium traffic sites (100,000 visitors per month of fewer). SiteGround is based in Sofia Bulgaria (although they have data centers around the world). If you prefer U.S.-based shared hosting (for whatever reasons), I would recommend Inmotion Hosting, based in Los Angeles, CA. They have speedy servers and reasonable prices. They don’t have all of the bells and whistles of SiteGround, and it sometimes takes longer to get someone on the phone. But their servers are fast and reliable. I’ve been to their headquarters and I recommend them. 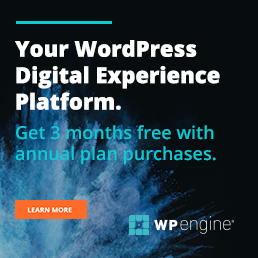 If you need a more premium WordPress hosting solution, I would recommend WP Engine. Yes, they’re more expensive, but their servers are insanely fast and they offer really easy staging sites, backups, and all of the amenities that SiteGround offers. WP Engine is based in Austin, TX. I’ve visited their headquarters and spoken with their employees there. I recommend them for high-end WordPress hosting. I don’t want to mention any hosting companies by name, but there are definitely many who cram so many users on a single server that the sites on them are as slow as molasses. If you message me privately I can steer you clear of these. Just a hint – one of the most-hated ones has actually improved greatly, while some of the previously most-liked ones are now terrible. Note: I receive compensation from the retailer when you purchase through the affiliate links. I test and/or research each product or service thoroughly before endorsing it. I own this site and the opinions expressed here are mine.